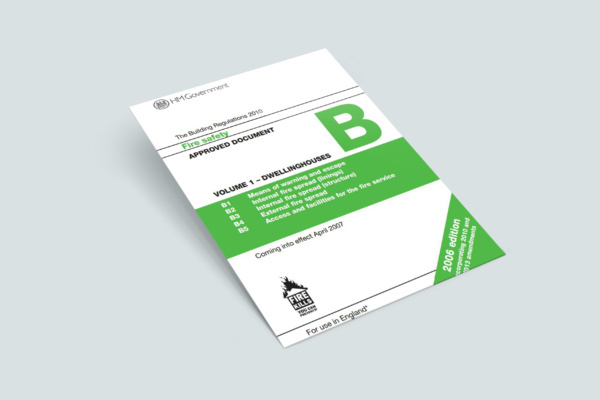 The regulation + guidance affecting fire doors is contained in Approved Document B, Volumes 1 + 2. These specifically cover fire safety guidance for buildings in which fire doors play a critical role in fire safety. Note that this list is not exhaustive and other locations may require fire doors depending on the layout, use and fire plan of the individual dwelling. The location and rating of fire doors will be based on the Fire Risk Assessment (FRA), design and layout of the particular building with consideration to the user’s particular needs. The FRA must always be carried out by a competent, trained and qualified individual. In the guidance documents a door which provides at least 30 minutes fire protection is designated FD30. A door which provides the same protection and also protects against cold smoke is designated FD30S. Similarly, a door which provides at least 60 minutes fire protection is designated FD60, or FD60S if the door also provides protection against cold smoke. The Regulatory Reform (Fire Safety) Order 2005 also gives requirements for fire and smoke performance in certain buildings. The Lorient solution is to fit a sealing system which, properly located and secured, prevents the passage of cold smoke, fire + hot smoke.